Tessy Plastics uses virtual process development software to simulate the entire injection molding process before production, enabling them to expand their global presence while finding the most cost-effective and high-quality manufacturing solutions. Tessy Plastics was founded by Henry Beck in 1973 and is headquartered in Central New York with facilities in Virginia and China. Tessy is constantly expanding their global presence in order to find the most cost-effective and high-quality manufacturing solutions. Producing everything from intricate medical devices to everyday consumer items, Tessy strives to engineer, manufacture, assemble and distribute products in the most effective and profitable way possible for their customers. As a family-owned and operated, privately held company, Tessy positions themselves as their customer’s manufacturing partner, taking ownership and a proactive approach on every project they encounter. Stafford Frearson, Project Engineer at Tessy Plastics, works on a project using SIGMASOFT at Tessy Plastics in Elbridge, NY. Servicing the medical, consumer products, business machines, electronic and packaging markets, Tessy partners with their customers from the design stage all the way through product completion. Enabling them to provide their customers a full service experience, Tessy offers additional services including ultrasonic, vibration or laser welding, hot stamp/hot decal, pad printing, laser engraving, or label application printing, manual, semi-automated, fully automated or cleanroom assembly. Finishing options include gluing/bonding, machining/drilling, contact insertion, as well as, high-speed fluid dispensing or ultrasonic dispensing. Tessy also provides leak, burst, dielectric, electric, optical, rheological and spectrophotometer testing. As part of their partnership, Tessy holds themselves 100% accountable for quality assurance. 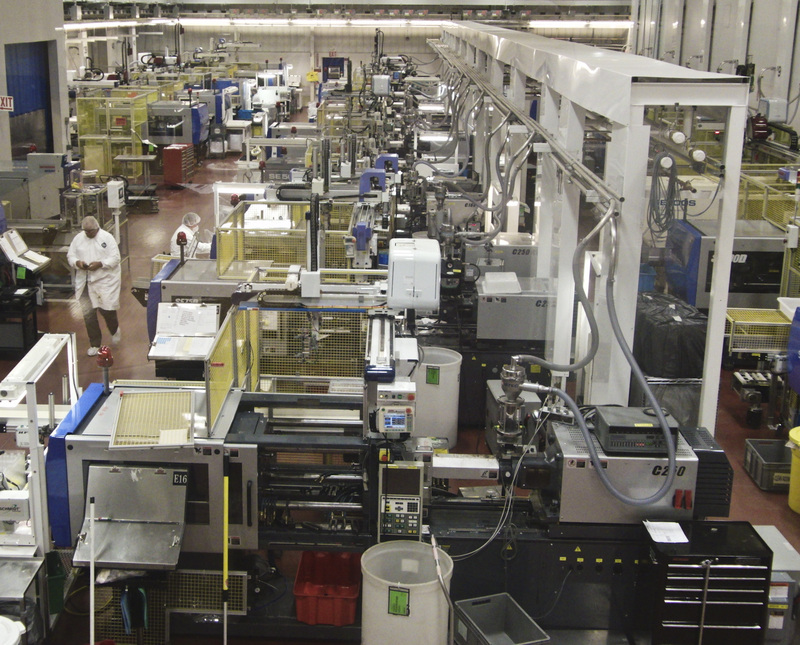 One of the cleanrooms at Tessy Plastics in Elbridge, NY. At Tessy, the members of the sales team have engineering backgrounds while the engineering team is heavily involved in building, developing and maintaining customer relationships. The sales team boasts trying to commit the engineers to projects that are almost impossible while the engineers welcome the challenge and come up with ways to make them happen. Raffa explains, “With SIGMASOFT® onboard, we are able to commit to these almost impossible jobs. I know that when the customer poses new projects to us, I can go to engineering and talk about warp analysis or filling analysis and whether or not a project is even feasible. Once getting that confirmation after running the process virtually, I have the confidence to commit to a project, knowing that the information we received from the simulated run will reflect reality at least 98% of the time.” Matt Learo, Sales Manager, adds, “We had an existing customer where the materials they were using were discontinued. The customer called and requested that their new material and new tool be run through SIGMASOFT® specifically, to see how the new material was going to behave.” Stafford Frearson, Project Engineer expands, “The more complicated a project is and the more complex a configuration might be, when we are not sure how it might warp or how it might fill, there’s no question we feel more confident in going to the customer and saying, ‘this is what you are going to see’, when we have the report backing us up.” “We use other simulation software, but when the part is complex and on our harder jobs, we always run them through SIGMASOFT®,” Eric Frearson adds. Tessy has used simulation software for over 20 years but feels adding SIGMASOFT® as one of their resources significantly changed the way they do business. Raffa told of a situation that occurred within the first few months after acquiring the new software. Most new projects Tessy acquires are first-time molded products. In most cases, Tessy helps design the part as well as the molds. Normally, all the components in the assembly are new designs. In one particular instance that Raffa described, the customer wanted to take new components and marry them to old components for a different look in the end product. Tessy learned by examining the way some of the wall thicknesses had to be designed and the way the assembly had to come together through simulation that it wasn’t optimal and the new design would simply not work. The parts that were being received from the prototype molds found warp that Tessy had never seen on these types of projects previously. The customer requested a stress and distortion analysis from an engineering company, costing them thousands of dollars, in addition to taking considerable time. Although the engineering company did provide some results and recommendations, the evidence to support these recommendations was not provided. Eric Frearson, Vice President of Engineering, Tessy Plastic (Left) and Stafford Frearson, Project Engineer at Tessy Plastics, discuss a SIGMASOFT screen at Tessy Plastics in Elbridge, NY. 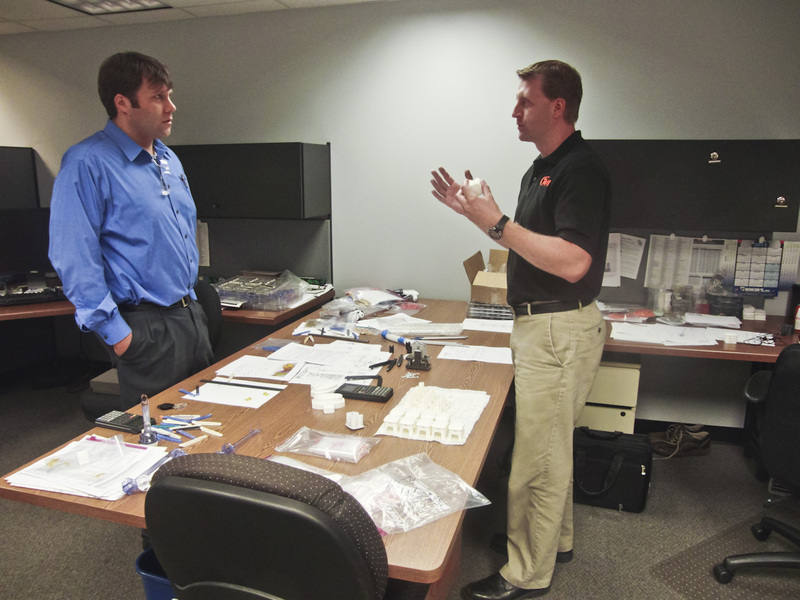 Matt Proske, Vice President, SIGMA Plastic Services (Left) and Stafford Frearson, Project Engineer at Tessy Plastics, have a conversation at Tessy Plastics in Elbridge, NY. Giving credit to their “Commitment to Innovation,” Tessy is experiencing record growth and expansion in their business, even in these unstable economic times. The implementation of innovative technologies continues to not only ensure profitability, but also contributes to its employees’ ability to further their careers, providing opportunities for advancement on multiple levels. Being part of an industry that is constantly evolving, the leadership at Tessy keeps encouraging their team to reach the highest standards and quality deliverables, which in the market drives all plastic molders to move forward and continue to reach out for new and more efficient ways of serving their customers. It is Tessy’s goal to strive for the most cost-effective, time-saving solutions to ensure quality products for its partners. SIGMA Plastic Services will partner with RJG to provide a detailed training session to educate plastic injection molding professionals on cutting edge technologies that will assist in more successful product launches. Working together with RJG at the Medical Devices conference, the goal is to provide attendees with a demonstration on how to utilize currently available technology to their best advantage. Reducing time to market with higher quality and repeatable molding processes are key to the future success of injection molding professionals and OEM’s. RJG and SIGMA will take you through the critical steps from product design to production with best practices for successful, profitable molding. Develop and merge the part design, the polymer, the mold, and the process in a virtual production environment where all of the critical aspects related to profitable part quality can be evaluated and optimized before the actual mold is ever built. This is an actual workshop with worksheets and exercises that can be used to develop improved communications within your work environment. What areas of the part design are the most critical? Should the mold insert be P20, H13, or a Cu based alloy? Where are the most critical areas for cooling? What will the cycle time be? Is the distortion related to fiber orientation or temperature? Can it be controlled with packing? Will it be pressure limited when the viscosity shifts? How big is the process window? Can the process be maintained? Where do we need sensors? Virtually develop and optimize the mold and the process together, before the mold is ever built. Verify the appropriate molding machines are capable and available. Ensure the best process is developed, used and repeated, in spite of day to day variation in the production environment. If the mold is already built and the part dimensions from the quoted 30s cycle are out of spec, what are you going to do about it, other than lose money…..? There are more profitable ways of doing things. 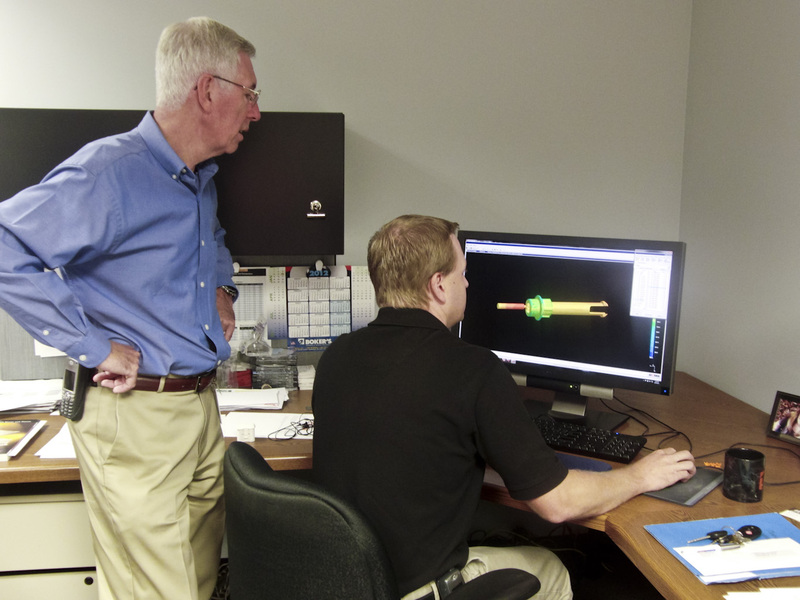 Using the process-oriented approach of SIGMASOFT® makes it possible to consider all of the molding times present in an actual injection molding cycle. In the injection molding simulation of elastomeric applications, SIGMASOFT® not only considers the filling and curing times, but also the non-productive times between each production cycle while the mold is opened and closed. 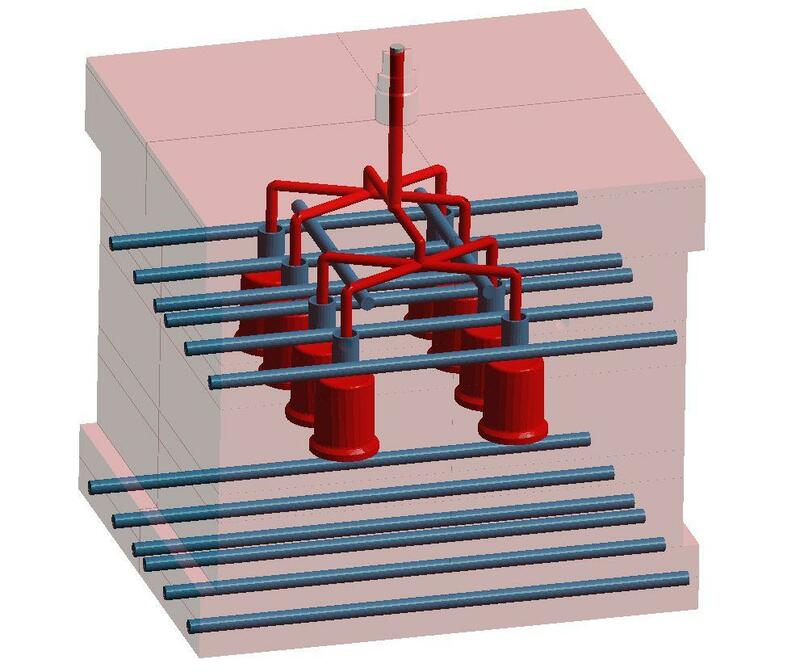 If the simulated process considers the influence of multiple consecutive molding cycles, the accuracy of the simulation is dramatically improved. Figure 1 – Temperature distribution in a metallic component over-molded with rubber. Left: without consideration of the mold opening time; right: considering a mold opening time of 60 seconds, where significantly lower temperatures and long curing times are observed. Even though it is not necessary to include them to complete an injection molding simulation, the “non-productive” times have a major influence on the mold temperature and thus on the process and on the part quality. With the Process Simulation Software SIGMASOFT®, from SIGMA Plastic Services, Inc. (Schaumburg, Illinois), all the non-productive times can also be included into the simulation of multiple consecutive production cycles and a substantial improvement in the accuracy of the results predicted can be achieved. Considering the times in which the mold opens and closes, the times in which the mold is heated or cleaned, as well as handling times in which the inserts are placed or the parts removed, makes it possible to exactly describe the real multi-cycle production process. 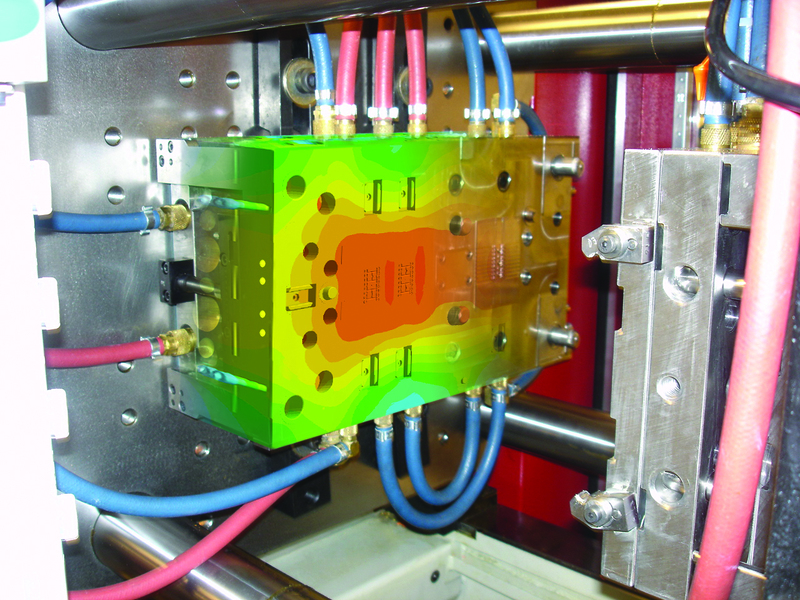 The interaction between all components present in the mold is considered with the local temperature dependent material properties, along with the heat that escapes the mold into the environment while it is both opened and closed and the exact timing of each event are coupled together inside of SIGMASOFT® to provide a comprehensive understanding of a very complex system. In this way, even factors that influence the part quality, such as the mold temperature and curing degree, can be predicted before the mold is ever built. An example is presented in Figure 1. In this case, the mold temperature drops significantly while it is in the open position because heat radiates from both heated mold surfaces. If this time and open condition are not considered in the simulation, the mold temperature calculation will be higher than actual; resulting in a faster curing reaction and a shorter cycle time than what is actually possible. Other events will also be incorrectly calculated such as curing degree during filling and required injection pressure. In SIGMASOFT®, non-productive times can be defined and individually modified in the simulation. For this reason, it is also possible to optimize the entire production process or mold design simultaneously. Through this simulation, it is possible to decide if changes in the process definition will solve production problems, or if the mold has to be modified to achieve the desired quality and productivity goals. SIGMA® (www.3dsigma.com) is 100% owned by MAGMA® (www.magmasoft.com), the world market leader in casting process simulation technology based in Aachen, Germany. Our SIGMASOFT® process simulation solution optimizes the manufacturing process for injection molded plastic, thermoset, rubber, and MIM/CIM components. SIGMASOFT® combines the 3D geometry of the parts and runners with the complete mold assembly and temperature control system and incorporates the actual production process to develop a turnkey injection mold with an optimized process. At SIGMA® and MAGMA®, our goal is to help our customers achieve required part quality during the first trial. The two product lines – injection molded polymers and metal castings – share the same 3D simulation technologies focused on the simultaneous optimization of design and process. SIGMASOFT® thus includes a variety of process-specific models and 3D simulation methods developed, validated and constantly improved for over 25 years. A process-driven simulation tool, SIGMASOFT®, with its comprehensive simulation approach, provides a tremendous benefit to production facilities. Imagine your business when every mold you build produces required quality the first time, every time. That is our goal. This technology cannot be compared to any other conventional “design” simulation approach employed in plastics injection molding. New product success requires a different communication between designs, materials, and processes that design simulation is not meant for. SIGMASOFT® provides this communication. SIGMA® support engineers, with 450 years of combined technical education and practical experience, can support your engineering goals with applications specific solutions. SIGMA® offers direct sales, engineering, training, implementation, and support, by plastics engineers worldwide. With the process-oriented approach of SIGMASOFT®, the injection molding simulation for elastomers is no longer limited to predicting the cavity filling while designing the part, or to answering questions regarding balanced filling. 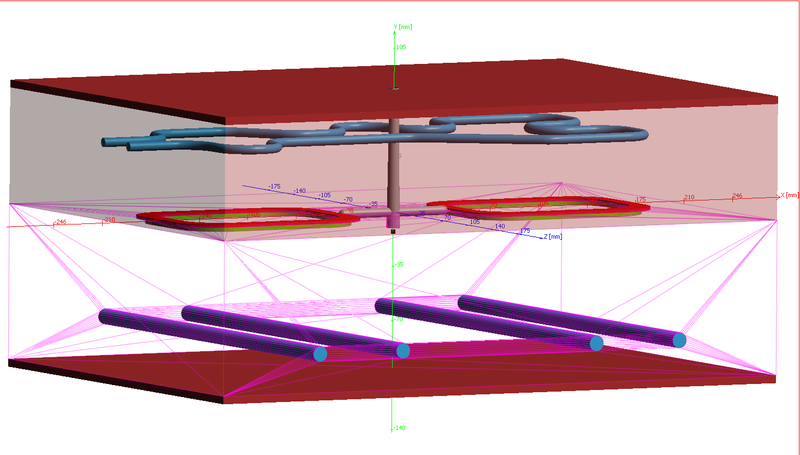 Based on an accurate simulation of the curing reaction (vulcanization), it can be used for designing the mold, identifying process windows and troubleshooting during production. 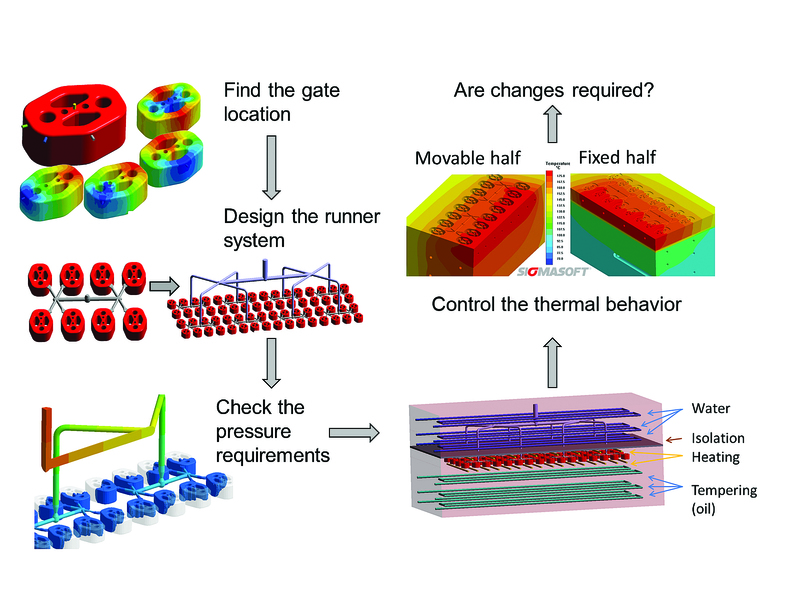 Figure 1 – The process-oriented approach of the Injection Molding Simulation Software SIGMASOFT® allows all relevant information (Part, Insert, Venting, Material, Mold, Heaters, Thermocouples, Process, etc.) to be used in the calculations. SIGMA Plastic Services, Inc., Schaumburg, IL presents the latest functionality of its 3D Injection Molding Simulation Software SIGMASOFT®. The focus is on reduction of development and production costs using these new developments in process simulation. Many factors in elastomer injection molding have an influence on product quality and costs. Here it is of little help to solely focus on a single aspect; part design, material, mold design, or molding process. To ensure a competitive advantage, the entire system must be considered simultaneously. Only when everything is optimized during the design phase, before the mold is shipped, can the largest cost savings be achieved. By means of process simulation, molding feasibility and initial process parameters can be evaluated. Parting line and venting channels can be developed, as well as the optimal type and position of the injection point. Where are weld-lines acceptable, where must they be avoided? How much injection pressure will be required? Ultimately, the complete mold and process must be optimized. What wattage and heater design is most beneficial? Where is the best thermocouple location for each heater? Do inserts need pre-heating and how will they influence the curing? How long is the curing cycle, what areas of the part cure late and why? These questions are all related to the mold design and the production process and they are all important factors regarding part quality. 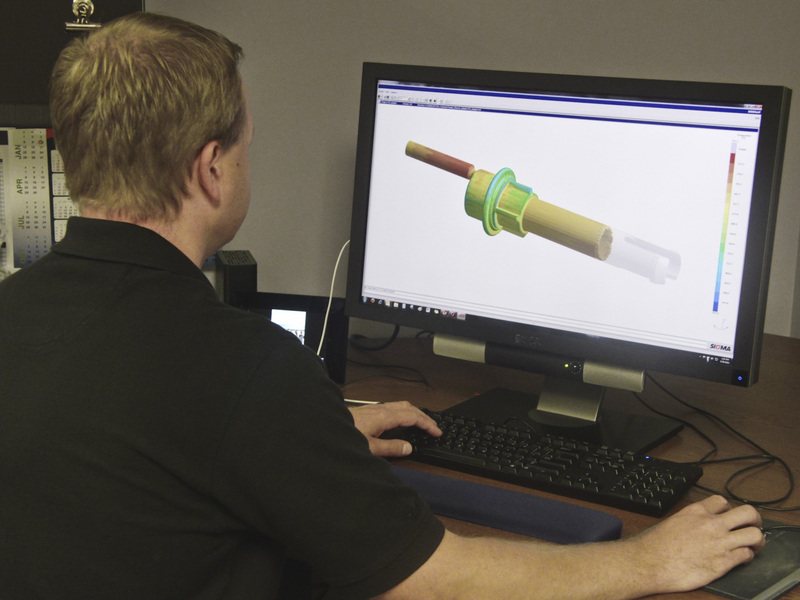 The simulation results provide answers to all of these questions in a clear and meaningful way, allowing injection molders a way to virtually test the mold before it is built. Costs can be reduced significantly during development, and existing processes can continuously be improved, while substantially reducing material waste and improving quality. The latest developments in the thermal solver allow for the integration of all mold components and their individual temperature dependent material properties. In this way, an accurate reproduction of the real temperature profile in the mold is possible, even over several consecutive injection molding cycles. The simulation set-up is optimized for the requirements of process engineers. This allows production-minded engineers to use this technology without a simulation background. For example, a process engineer can determine how heating cartridges influence mold temperature and part quality, simulating them with their respective electric power and thermocouple control. Besides predicting the filling process, the process simulation software SIGMASOFT® can also predict the curing reaction of elastomers and the thermal performance of mold tempering systems. A major advantage is that not only the cavity is simulated, but the complete mold including all details is considered in the calculation. Therefore, the interaction between heating elements, elastomer, inserts and mold can be accurately predicted. Schaumburg, September 7, 2012 – In the elastomer processing industry, it is common for companies to rely on trial-and-error methods to solve production problems. Without process simulation, operators suggest a mold configuration which “should work” for a specific part geometry, based on experience. Factors such as tempering or processing times are defined later during the first production trials. It is not uncommon to find molds which require several rework stages, as well as parts with quality issues where the causes for this issues are not well understood. Simulation technology can help avoid all these typical processing problems while saving significant time and effort during the development of a new mold. When utilizing the approach of “Process Simulation”, provided by SIGMA® with its software SIGMASOFT®, all the elements of the mold can be included. This allows the molder to run a “virtual production”, including all the process stages (preheating of the mold, injection, curing), not only over one cycle, but over several production cycles. With this process, the performance of a mold design can be evaluated completely before the steel is even cut. “Historically, elastomer molders have relied on conventional injection molding tools to predict the filling of the cavity. Many processors still think this is all simulation can do for them. However, simulation tools available nowadays are far more powerful. Besides filling, the curing reaction can be accurately predicted, and the thermal behavior can be exactly anticipated”, explains Dr. Marco Thornagel, executive director of SIGMA Engineering GmbH/Germany. “Simulation can make a company achieve its production goals faster, being more profitable”. 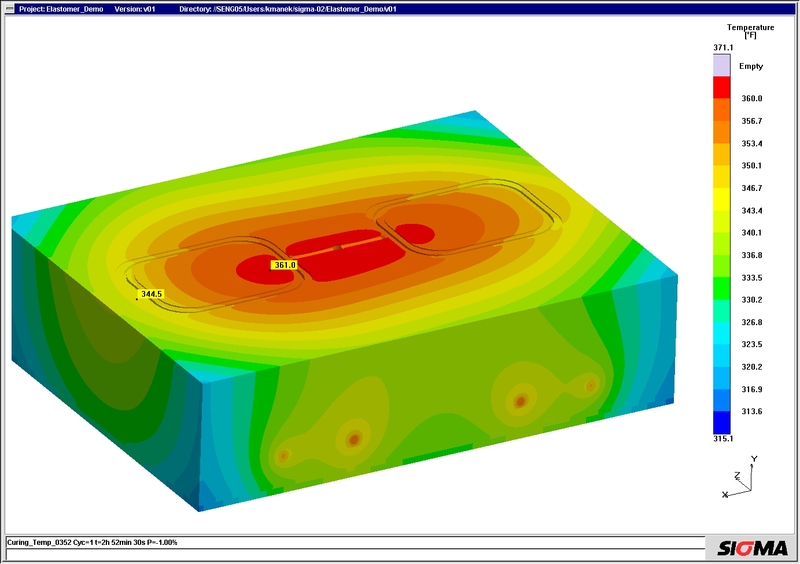 Simulation can analyze different variables of the design of a new mold. After determining the desired geometry, the process starts with the selection of the injection point or gate type. Understanding the flow behavior, as well as quality issues related to weld lines, air gaps or jetting, the runner geometry can be defined. In this stage, different aspects including cavity balance or the pressure requirement can be predicted. Once the part and runner are defined, the tempering of the mold can be designed. In the simulation the tempering elements can be precisely included: it is possible to define their exact location in the mold, as well as the material and the electric power. Even the control system can be defined. 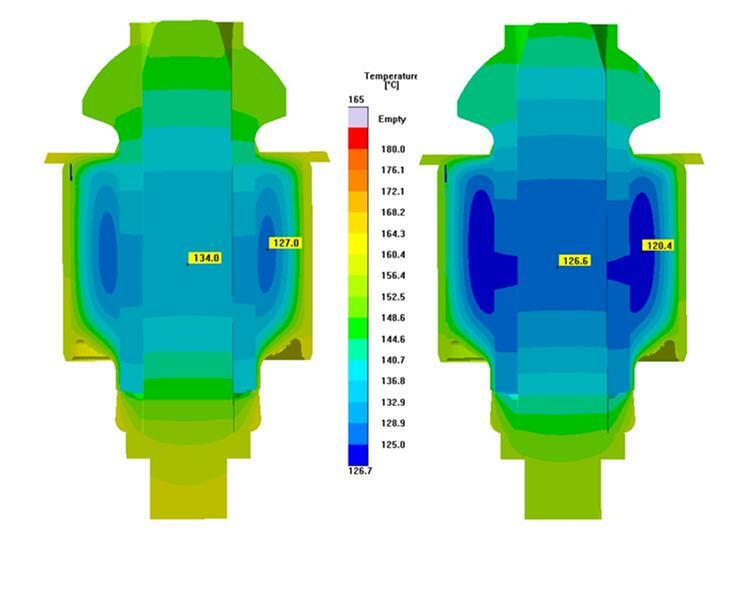 Instead of assuming a mold temperature in the simulation, the exact thermal condition of the mold is predicted, including the way it fluctuates over time. After the effect of the desired tempering system is simulated, factors in the mold which can compromise part quality can be identified. Cold spots in the mold where the material cures too late or irregular temperature distributions, which can produce different curing degrees for parts produced in different cavities, are some examples of the virtual “troubleshooting” that can be achieved with Process Simulation.